The Easter Bunny will be hopping to town in less than a week! To get in the Easter spirit, we joined the fun on the Easter Bunny Train Ride and Egg Hunt in Phillipsburg, NJ. Posted in Family, Family Day Trips, Holidays. 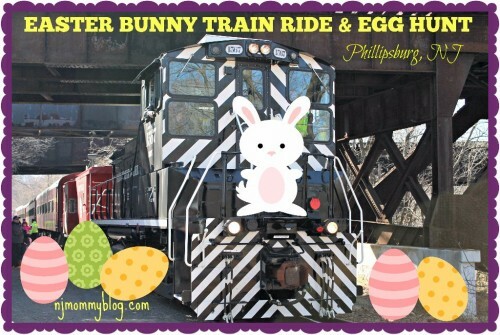 Tagged Easter Activities, Easter Bunny Train Ride, Egg Hunt, Phillipsburg New Jersey, Train Ride. 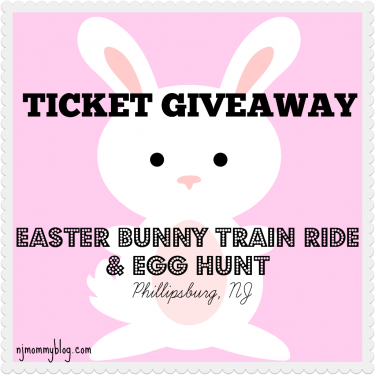 I’m happy to be giving away 4 FREE TICKETS to the Easter Bunny Train Ride and Egg Hunt in Phillipsburg, NJ! Join the Easter Bunny on a fun-filled train ride and exciting egg hunt! Posted in Family, Family Day Trips, Free Stuff, Holidays. Tagged Easter, Easter Bunny Train Ride, Egg Hunt, giveaway, Phillipsburg New Jersey, tickets, Train Ride.